RAAF chief ‘Leo’ Davies: challenges for the present and the future. 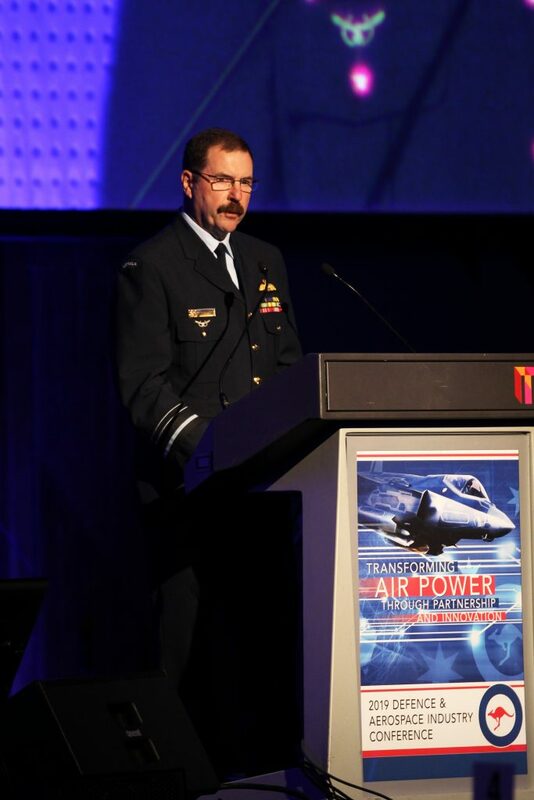 Delivering the opening remarks at the Defence & Industry Aerospace Conference on the sidelines of the 2019 Avalon Airshow on February 25, AIRMSHL Davies said the evaluation and consolidation of existing, and the development of new partnerships was key to realising success for the RAAF. “As CAF, I have two main capability management responsibilities,” he said. “First, I need to deliver an Air Force today which is part of a joint force that is capable of meeting the full expectations of our government. “Second, I have to design an Air Force for the future which is capable of prevailing in a rapidly changing strategic contest. AIRMSHL Davies said although the RAAF was currently mid-way through the transition to a new airpower fleet, the RAAF can’t simply expect to buy its way into the 5th generation. “The need to take a fresh look is what provides us with the opportunity to think deeply about the purpose and the nature of our partnerships, and to determine whether they also need to evolve in order to maximise our contribution,” he said. AIRMSHL Davies defined those partnerships as including those organisations in research and development, in industry, other elements of the ADF, and international partner services. “If you ask me to explain why selected partnerships is this year’s theme, it’s because I know that Air Force would not be able to realise the 5th generation potential timeline,” he said. “To prevail in the future, it will be essential to make the most of what we have built with researchers, industry, and our joint and international partners. AIRMSHL Davies also gave credit to the influence of commercial aerospace initiatives in assisting the RAAF to realise better results in sustainment. “We have seen innovation from civil aviation that’s allowed us to optimise our sustaining, and to learn about impact on the environment,” he said. He said the advantages of a 5th generation Air Force won’t just be realised by the capabilities provided by the new systems being acquired, but will only be achieved when the ADF uses an integrated system-of-systems to create decisive, debilitating, and unexpected war fighting effects.